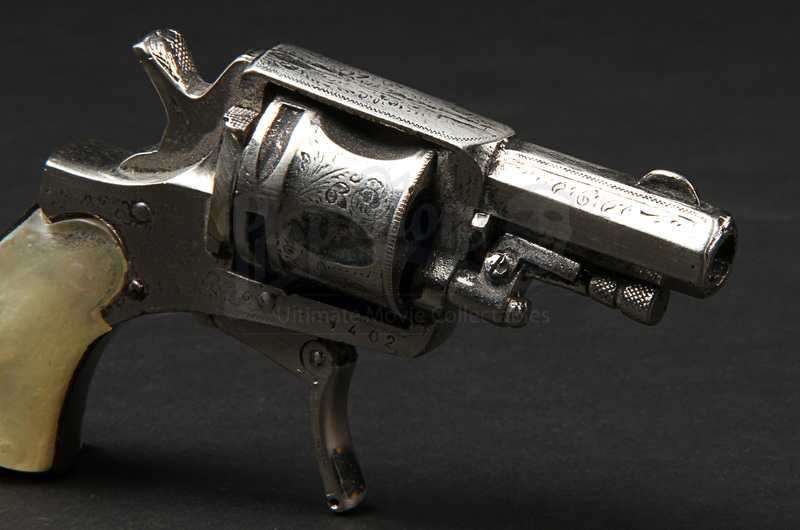 A prop pistol used in the production of the Victorian detective film Sherlock Holmes. 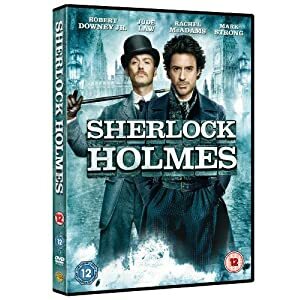 After preventing a sacrificial murder by Lord Blackwood (Mark Strong), who is subsequently executed, detective Sherlock Holmes (Robert Downey Jr) and Dr John Watson (Jude Law) are called upon to investigate a series of occult murders related to a resurrected Blackwood, the Masons and the mysterious Professor Moriarty. 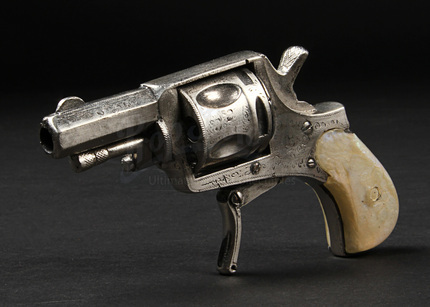 This pistol was used by the femme fatale Irene Adler (Rachel McAdams) as she helps Holmes secure the chemical weapon underneath the Houses of Parliament. 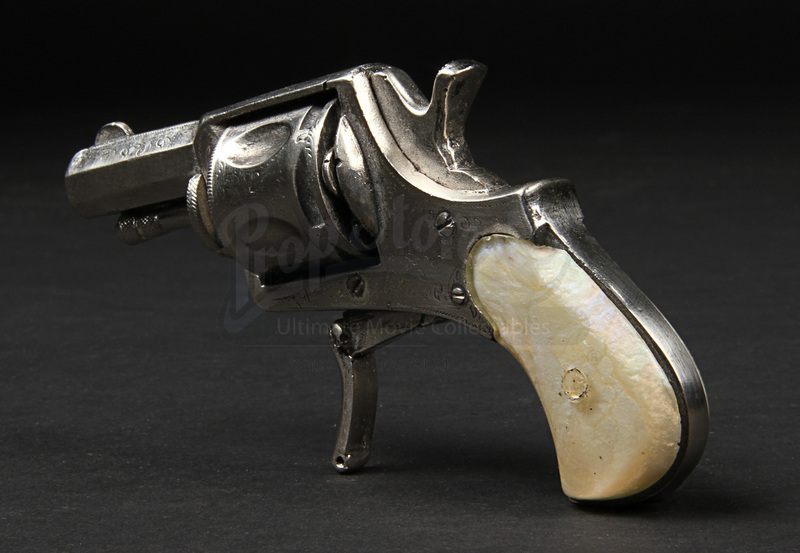 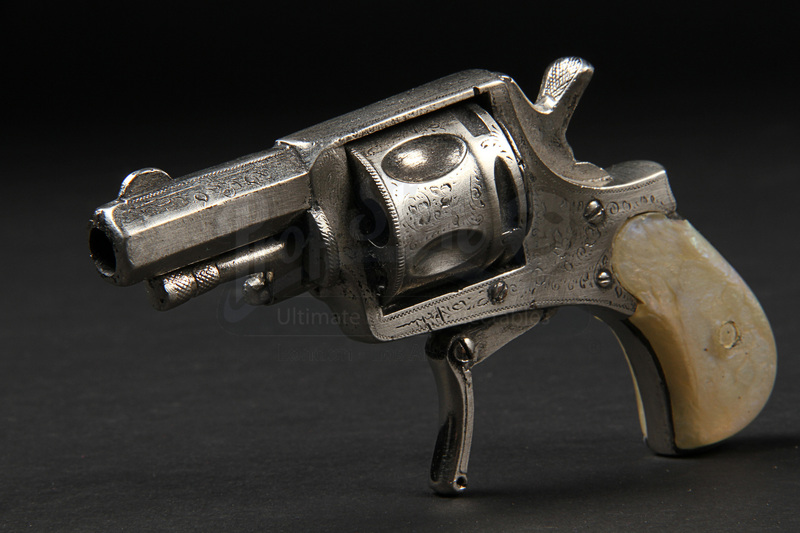 The weapon – a Belgian Bulldog revolver – is a static piece made of resin with intricate detailing for the folding trigger, engraved receiver, cylinder and faux-pearl grips. 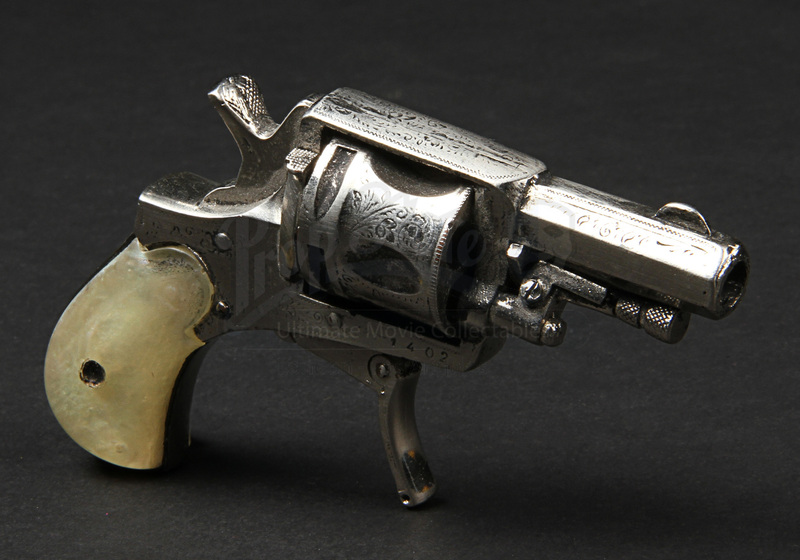 The piece is finished with a faux-chrome finish for the components that would have been made of metal on the hero pistol. 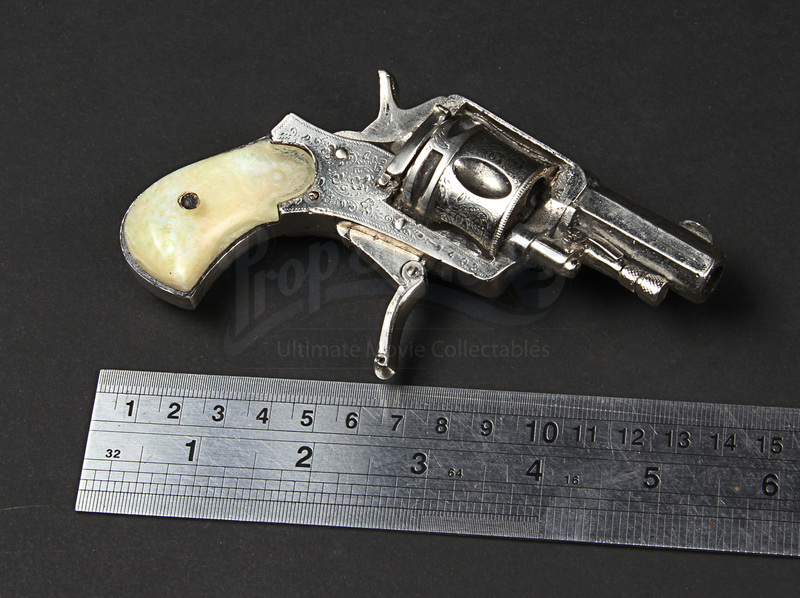 Featuring only minor wear to the paint finish from use on the production, the pistol remains in a very good production-used condition.